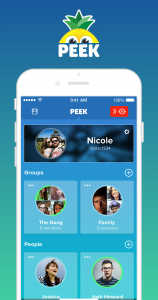 PeekApp is a great mobile App, at Nextstartup we wanted to know about this promising company. What does your brand’s name stands for? What is the story behind the name and how was it born? Any MOTO? Can you describe your daily work. Tell us more About the team and the founder. 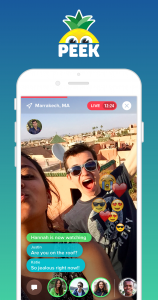 “Think of it like a WhatsApp for livestreaming” said co-founder & CEO Marlon Gruss. 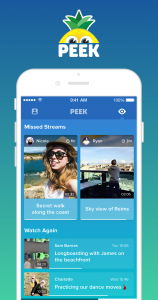 “We want Peek to be a fun new way to share live video, making it more accessible to people who don’t like the noise and anonymity of equivalent public livestreaming apps”. In the future, Peek also plans to support paid classes and workshops streamed directly to your target audience and at a time of your choosing, for example a Yoga workout or a foodie class. Which stage of the development are you? describe how easy /hard it is to launch a product like this? Peek for iOS will be available to download from the App Store for free this summer. People interested in getting early access to Peek can sign up at http://www.peekapp.co. – Get a good team together. Make sure they are all good at different tasks. And hire slow, but fire fast. – There is no failure. Everything is a learning experience. Next time you’ll do better. Keep going and don’t give up if you believe in something. You can adapt, but don’t give up. – Be ambitious, but not naïve. Don’t think you can do everything yourself. And make sure you have people around you that will stop you if you need to be stopped.